I would just like to say thank you to the two drivers who safely delivered the group of young people to Leeds festival from Snipe retail park and back again. From the initial enquiry to the final pick up I have found your company very easy and pleasant to deal with and would not hesitate to use you again and would certainly recommend your company to others. Once again please pass on the thanks to the drivers from all the young people. The passengers on the coach last Saturday commented on how polite, friendly and professional the coach driver(s) were including how very smartly dressed they were. Thanks again, I would have no hesitation in recommending your company. I am just writing to thank you for providing us with a great coach for our trip. The girls were really happy with the executive transport, so much room and even reclining chairs! Our driver, Luke, was brilliant providing a safe and comfortable journey. We all appreciated his good humour and interaction with the brownies – they thought he was really nice. We would all like to say a big thank you and a great day was had by all. We will definitely be contacting you again for any coach services we require. 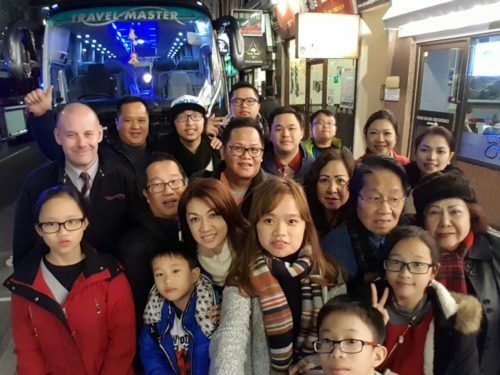 The Union is a frequent customer of Travel Master and it is with the great service and facilities provided with each booking that we still are using Travel Master to this day. We have used Travelmaster as our main transport provider since 2008. We have found them reliable and their prices competitive. Communication is excellent with professional, polite friendly and helpful staff. I would like to express my thanks for the service you have provided to our school once again this year. As ever we have received a personal and professional service. Your coaches are always in immaculate condition, and we find your prices very competitive. I would be grateful if you would extend this thanks to your team, and look forward to working with you in the near future. I am writing to say how pleased I am with the service provided by Travel Master…last week. I booked a 16 seater executive mini-bus to conduct an afternoon / evening study tour of Manchester for 15 German planning professionals, and was delighted by the experience. The mini-bus itself was of excellent quality and perfect for the private tour. The driver, Sam Singh, was very professional and helpful – I found him well presented, friendly and flexible, which was important as the group’s flight was slightly delayed. Communication with him and your other staff at the office has been easy and stress free. Overall, your company helped us give a very good impression of the north west to our foreign visitors on the first leg of their tour. The booking was very fair value and I wouldn’t hesitate to use you again or to recommend you to others. As usual, the drivers were superb and the coaches were top notch. I must say the driver, Andrew, was fabulous. Also the coach itself was very clean. Please can I pass on my thanks to all the staff at Travel Master for providing the double decker bus for our recent wedding. Many thanks for a ‘flawless’ service. Looking forward to booking with Travel Master again soon.